Eventually the message will get through. Incidentally, Ian Plimer will be addressing a meeting in Rockhampton next Tuesday night (and I think Biloela as well) on power prices. Can somebody please explain to me what AGL is saying? From where I stand AGL looks like a pack of carpet-baggers and spivs. Methinks AGL sings from a differnt songsheet now that yank has gone home. Ken, I know that “eventually” the message will get through. Unfortunately the belief and momentum of CAGW belief has become so ingrained that I have little…err, “faith” that it will happen until we begin to experience regular load-shedding, permanent high prices and occasional system blacks. By which point, long-term damage to our economy will have been done. Any links to info etc., Anto? I’d love to hear hi speak, and those centres are actually within reach from here. Interestingly, the Grattan Institute, long time excuse makers for renewables industry and climate change scare-mongers, actually admit that the inherently intermittent nature of wind and solar energy WILL INCREASE WHOLESALE ELECTRICITY PRICING. I wonder why Giles Parkinson didn’t blast this all over RenewEconomy? That article is rather shallow and misses the point entirely. The RET is the main problem. Without it the electricity market would slowly return to the previous normal. The gaming mentioned would not occur as the renewables would have to play by the same rules as fossil fuel fired plants and the fossil-fueled generators would be able to run efficiently and have sufficient income to ensure proper maintenance. Renewables would have to guarantee supply and face penalties when they didn’t provide as contracted. Also he didn’t mention the subsidies (RECs) received and paid for by electricity users. That drives the retail price of electricity and the transmission infrastructure costs (renewables have to be connected to the users and that requires additional and beefed up cables.) up. The author blamed increases in fuel costs as the reason for high wholesale prices. In the case of coal that is not so. I have read that fuel costs for coal-fired power plants is down around 8% of costs. It would take considerable increase to really affect the wholesale price of coal generated electricity. The inefficient running as a result of renewables having first go no the grid (RET) is much, much more significant. Any article claiming to expound the reason for the high price of electricity in Australia that doesn’t even mention the RET and it’s effects is a con job! The full report. Not bad overall actually with a good description on page 16 of how the electricity market works (or is supposed to). As usual, the shortcomings of the renewables is largely glossed over and buried when mentioned by emphasis on how the market can be gamed more often when renewables aren’t able to generate. ZERO mention of the priority market access that lets them destroy the electricity market, too. So in effect, renewables are really price fixing through manipulation of supply…. No, in trade terms, it would be called “dumping” of a subsidized product. Can anyone recommend a good generator for home? Depends on how much you want to pay. Suggest do not get two stroke but diesel or petrol 4 stroke with battery start. You will need to run at least once per month. I think diesel can stand longer. Brother-law-law had a diesel motorhome. It stood without being run for about two years. Connected a new battery and it started first go. sorry – but what is this guy saying? In other words the unreliables are a money making scam perpetrated on the general public to the advantage of the old boys ‘I’ll scratch your back if you scratch mine’ parliament ‘in group’. A Chinese Australian consortium start up, they seem oblivious. Energy Minister Angus Taylor says the “big stick” he will wield to ensure energy companies reduce prices for businesses and households can be put away if the industry works with him on cutting prices. He was also highly critical of industry modelling in the past on renewable energy being introduced into the energy system, saying the mistake that had been made “time and time again” was that baseload generation exited much quicker than those models anticipated. (Mark Butler) said mismanagement of energy policy over the past decade had cost Australia dearly, with every other developed country around the world having a clear path to a transition to a much-more renewables focus energy system as technology advanced rapidly and renewables costs were lowered. “Every other developed economy is also undergoing this transition,” Mr Butler said. Does butler actually not know that australia is the only first world country whose government [ and opposition] is demanding it make itself insecure…at risk of annihilation…100% dependent on 100% weather-dependent intermittents for our electricity supply and our survival…because…shock/horror… The earth warmed completely naturally for 20 years…a blip…then paused till now[ confirmed by ipcc and uk met?? Every other first world country has the safety net of huge hydro and/or nuclear plus interconnectors to other countries that have those sources...even the us east coast states rely on interconnectors to canada's huge hydro. There is not one industrialized country in the world that's committing hari kari as australia is being forced by its government to do...not one ...we are out on this dangerous limb alone...unprecedented death wish....unprecedented harm perpetrated by a government on its people. Do butler and morrison...who was fully in the tank with turnbull on the coup[ bragged that he was discussing it with his great mate turnbull many months before the final cut]…and fully in the tank on turnbull’s transition….do they not know that former chief scientific adviser to the uk department of energy and climate change…..the late professor david mackay said ‘by ignoring simple arithmetic, the use of renewable energy to try to power a developed country is an “appalling delusion”’??? Do they not know that aemo’s former boss said just before he died ..that the subsidies rush[inspired by turnbull's coup] could have only one outcome…’system collapse’….and just a few months later turnbull rushed to ratify paris to ensure infinitely more subsidies. Tony Abbott was right on this and just about everything else…and we need him now as never before. What a stupid vindictive country …to ditch the best…most courageous intelligent and prescient leader we’ve had in a generation or more…better than any other world leader..and then to try to force him into complete exile and purgatory. Frustration got the better of me. So, when renewables ARE operating, the cost of power is high, and when renewables ARE NOT operating, the cost of power is high. Ah, the bitter moment when impulse buyers learn there are no free steak knives. The reason we have issues is that renewables need base load support. If one builds the base load support to provide the 24/7 electricity if the wind isn’t blowing and its night time why do we then need renewables. Renewables can never be cheaper than base load . Cut out the middle man and not only scrap subsidies, scrap all existing renewables ( except where they supply off grid) and costs would plummet. The only thing that renewables can be relied on to contribute is substantial unreliability in the system.Ironically if one combined this with franking and or nuclear power those hapless greenies could reduce emissions as well and we would have a reliable system. Just simply dump the subsidies & it’ll all go away surprisingly quickly. While there’s “sugar on the table” the flies will swarm! As far as Paris is concerned as soon as we pull out of it others will follow. Next will be Canada, after their next election which will see the demise of Trudeau. This nonsense is a huge distraction & government has many far more important issues to sort out. 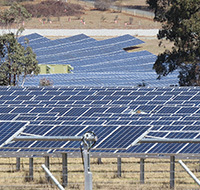 Only way this will ever sort itself out will be by rolling blackouts because of a lack of sun and wind at a time of high consumption, if the Libs are in maybe it will surface that the reason was renewables maybe but if Labor /Greens are in the answer will be more renewables and big batteries . And yes have a generator handy because blind Freddy can see where this is heading . Amazing! AGL is planning to close Liddell for lack of maintenance because they can force prices so much higher and make so much more money in a tight market and they are warning us of higher prices? It’s near criminal. Plus all the massive cash from the RET, even if they do not sell wind power. When in history has someone been paid for making a product with no expectation of selling it? This is money we did not agree to pay for a product which is useless at a time we where we cannot use it and for an amount which is government dictated and exorbitant? The crime of the RET will be exposed. It is government legislated and enforced theft. Now we have to pay for storage of something which should not have been done. Has anyone stopped Snowy II? I am sure do nothing Morrison would stop nothing. When do we get a return on our $440million to Malcolm and Lucy’s friends? AGL boasted that it bought Liddell for $0. Free. Now it won’t sell it for $250million. What is wrong that the government does not just take it back? Clearly it is worth more than $250Million for AGL to have the right to close it. As Malcolm Tunrbull said about the closure of Hazelwood, it was a private company matter. Absolute rubbish! The faux conservatives under Turnbull and now Morrison are worse than the Greens. I’ve never been a Morrison fan. I regard him as a buffoon, but I was willing to suspend my condemnation of him until after the Wentworth by-election on Oct 20th. If Morrison still has a majority on Oct 21st, then on Monday Oct 22nd I expect to see some clearing of the decks; some action begin or at least hear him make the right noises. RET axed, Paris dumped & immigration slashed for starters. If this doesn’t happen then we will know for certain that we have been saddled with another total dud. He was after all Turnbull’s alternate choice — probably another of that man’s booby traps left for us. Why would he do nothing just for Wentworth? Dumping the RET, Paris, fixing Liddell would win the election. Doing nothing leaves him competing as a shadow of Turnbull. He could lose Wentworth and have achieved exactly nothing. A one-seat majority in the House of Reps would be a bit of a limitation on any “courageous” moves to curtail the renewables gravy train when that same one-seat majority is in play with a by-election. This blows wide open what the reviled conservatives [realists] knew all along . Turnbull’s [and Morrison's] NEG was always anything BUT TECHNOLOGY NEUTRAL….subsidies ANYTHING but GONE. Obviously the gentailers never believed the ‘tech neutral’ scam…they were counting on it NOT being neutral…and now they’re looking for the TPM trough ANYWAY. The NEG was a vehicle for subsidizing the props that intermittents MUST HAVE to get ANY sort of credibility…even if bogus…in the electricity generation racket….ie subsidies for batteries…pumped hydro…synchronous condensers etc. Now the gentailers are saying ‘cough up or the NEM gets it’…which conscious people knew all along. Turnbull/Morrison stole government in 2015 in order to create the position for Australian consumers where….in no time at all…. Turnbull’s gold rush of international carpetbaggers facilitated by Hillary’s preferred energy CZAR Zibelman …..would have Australia in a death grip….as Zibelman said many months ago…[paraphrased] RESISTANCE IS FUTILE. How convenient that was for the global Socialists who this week have demanded Australia commit suicide as a first world prosperous industrialized nation by committing to foregoing EVERYTHING to do with coal…its use and the huge export income….ie to become completely weather-dependent for electricity…a recipe for annihilation for the ONLY first world country that’s without huge hydro or nuclear power …or interconnectors to other countries that have them…as safety nets. Morrison’s claim that Australia’s not giving up on coal-fired electricity’s a sham …because the intermittents rush is ONGOING …and the juggernaut is killing off coal whether Morrison & Taylor like it or not…because the favoring of intermittents for dispatch and therefore the relegation of coal plants to standby mode…. is killing coal plants ANYWAY…economically and physically. Such a situation will deter any new COAL build by OS investors…only the government that created the scam might take such a risk to buy itself cover with TPM …for a while. AGL [parent organization listed as STATE GRID CORPORATION OF CHINA] and ORIGIN [ foreign-owned] and ENERGY AUSTRALIA [ foreign-owned] want TPM so they can buy time so they can walk away with the dosh from an Australia in economic and social RUIN…..IMO. The UNIPCC’s demand of Australia is almost a declaration of war on this country…wars have been started on much less provocation….but as Hans-Werner Sinn proclaimed in his original GREEN PARADOX essay…the UN’s proposed ‘consumer cartel’ with its virtual FORCED APPROPRIATION of the fossil fuel reserves of resource countries…might precipitate military conflict….but he posited that such an eventuality was just the price that needed to be paid to ‘save the planet’. Not so convenient now though for Morrison who finds it’s he who has to unscramble the egg and find some way to save Australia from the economic apocalypse of energy insecurity and poverty…and national insecurity in face of a rapidly-worsening military situation. Not so convenient either for the gentailers morphing into international intermittent carpetbaggers…their TRANSITION interrupted by the loss of their internationalist champion with his pipeline of TPM they expected to have funnelled to them under cover of his NEG. Give up on Liddell, already – the damage has been done. Not quite. TdeF is right. AGL has been doing some major maintenance on Liddell over winter, just enough to keep it spinning for a couple more years. We all know that’s their plan, however there is nothing to stop it being given a proper makeover/upgrade with the will in the right places. It isn’t like Hazelwood where the thing has been gutted. Putting aside its aging generation plant, Liddell still has its building intact, its coal supply via miles of conveyors from surrounding mines, adjacent new mines with many years of life left in them, its water supply — Lake Liddell plus massive pipelines from the Hunter River, its power delivery infrastructure. If you spent a billion updating it you could get another 50 years out of it and increase its generating capacity into the bargain. It isn’t a write-off yet . . . if Morrison removes his digit very soon. On that front I don’t hold out hope. Speak to the people who work there and you will find your plan isn’t viable. It would be cheaper to build a new station with current technology then try to refurbish Liddell. The messaging out of AGL seems to have changed a little post Vesey, now if we can just send a couple more execs back to their home countries we might be haeding in a good direction. Simple to fix really , just make a requirement that every Wind and Solar farm have to have a backup so power coming from the site is continuous at a rated amount and frequency . No govt handout for the backup required to ensure reliable supply . A contract to supply is a contract to supply. No ifs. No buts. If you don’t meet your contract commitment you pay the penalty. Thus, you need to arrange back-up. Or take out insurance of another kind. What is it about contracts that governments don’t get? “What is it about contracts that governments don’t get?” The rules of contract dont apply to us (gov). You do realise the government is very reluctant to sue its members and supporters or impose penalties on their companies – follow the money. Just wondering, when is it their turn to pay us? You mean like payment for no service? Ask the Banking Royal Commission. Ask ANZ, NAB, Westpac. Ask the CBA. AMP. Energy companies need to be next on the list. Guess who owns most of the energy companies….. Mostly the same investment businesses that own the banks. Paris: when Australia signs up to something, puts its word to something, it means something. important to our partners in the Pacific. It’s not going to effect electricity prices. Angus Taylor has said that too. it’s not going to touch electricity prices, & it’s not going to touch one job. Mr Morrison had best realise he has a contract with the Australian electorate. At the first sign that he gives favour to a contract with the Pacific nations, the United Nations or anyone else the electorate are going to cancel his contract. The Australian electorate were not even consulted on signing up to that Paris Accord & we were lucky enough to second guess Turnbull/ Bishop on that UN immigration compact that would have sold us down the river in a matter of weeks. How many more little agreements have these treacherous bastards got tucked away waiting to spring them on the unsuspecting electorate?? I see the old age pension for a couple went up $6.20 a fortnight. No increase for the energy suppliment. That’s about 20 cents a day per person. I thought the increase was for Energy supplement. Do you know different? “Lower-cost renewables ” is a contradiction in terms. Windmills are a blot on the landscape. Solar panel farms are a blot on the landscape. Both very expensive. Return ZERO. Just watching Paul Murray on sky and he held up a report from the World Health Organisation that links windfarms to health concerns . This is the second time I’ve heard of a report that identifies them as a problem to human health . …a PhD student with opaque links to the #IPA, #MRC, #SydneyInstitute, #HeartlandInstitute, #HeritageFoundation, #GlobalWarmingPolicyFoundation, #KochBrothers etc etc perchance? Funny I would have thought you would have first thought is it accurate ? Wrong headline. It should read – ‘Australia dumps IPCC Climate Fraud’. Yep, the Chinese will be the first to dump coal. presumably, Barry didn’t read ***these BBC bits! ***In addition, China has restarted work at hundreds of coal-fired power stations, according to an analysis of satellite imagery. comment in moderaton re Paul Barry/ABC Media Watch CAGW tweets. 1/n Yeah, saw something this AM about the usual parade of unscientific fraudsters promoting it. Watts, Nova (https://twitter.com/tan123/status/1049013650969776130 …). Delingpole https://www.breitbart.com/big-government/2018/10/07/damning-audit-climate-change-scare-based-on-unreliable-data/ … According to them incorrectly spelt names means all AGW science is wrong. I have an intense dislike for reading this type of report. It reminds me that we have politicians running our electricity system and that they appear to have no intention of discouraging the highly subsidised renewables format which has pushed most of our farming and heavy industry to the point of collapse. What may not be as obvious is that small businesses from corner stores to accountancy and legal practices are also in deep and find the high power bills of recent times alarming. I have not heard one politician comment on this situation let alone offer to do anything. Before leaving, I believe it was our President Trumble who devised what was the ultimate insult to electricity users; ie All Australians. He had a special hot line set up so you could ring and find out the supplier giving the best discount on that day. This is Australia folks and you’re deep in it. AGL knows that a little bit of Newables is O.K., they can make a packet. They also know that when everyone and his uncle gets in on the scam the whole thing will collapse. Where is our new P.M.? 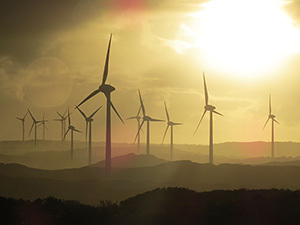 “Energy Networks Australia chief executive Andrew Dillon said the transition away from coal to wind and solar posed challenges to the energy market. Complete BS statement. If you want to have a 1st world life the there is no transition, there can be no transition, it does not work at scale, its game playing and subsidy mining. When the sun isn’t shining and the wind isn’t blowing, we need 120% capacity (allowing for contingencies) from guaranteed reliable generators – coal, gas and hydro – to meet peak evening demand. But then, when solar and wind are supplying, those reliable generators must be curtailed. So we have invested twice to meet demand. Ergo, higher prices. We could switch off all those solar panels and windmills and have cheaper electricity. That is a concise a summary as I have seen so far. Thanks Robber. Can I use in my letter to the PM and other ministers? Thanks Peter C. Of course, you have my support – we need to spread the word as widely and as simply as we can. What I cannot abide is the ongoing idea that the politicians do not know why energy prices are so high? The fake concern about prices, the impact on the poor, the impact on every aspect of our lives. Woe is us cry the politicians. It is outside out control. Privatisation. Opportunism. Evil big business. When all along it is the politicians themselves who have done this while they plead for prices to go down. If Liddell is worth more to close than to stay open, it is all deceit. Get rid of the RET and government legislation dictating payments to strangers overseas for nothing an prices will plummet. Let so called renewables compete. They have had billions and billions of our cash. If Liddell is worth more to close than to stay open, the situation is ridiculous. Will someone please tell me that Snowy II has been stopped? What I cannot abide is the ongoing idea that the politicians do not know why energy prices are so high? I’m not so sure the average politician has the knowledge and experience to understand why energy prices are so high. If they could drop the political agenda and pay attention to the engineers who do understand then their eyes would be opened for them. But I see more than 1 politician in this country making a fool of himself with off the wall arguments or explanations of too many different things to believe they’re all able to understand on their own. Some, maybe. But not nearly all. Politics is about power and leaves little incentive to learn about the engineering aspects of power. It’s too easy to follow advice that’s good for the party line, votes or the voter base and not bother with being informed. Of course, if you argue that they want the price to keep going up then of course they know why. I should have said, “…to learn about the engineering aspects of electricity. It’s too easy…” Otherwise the sentence is a little ambiguous. Roy, everything was fine. We had State based electricity. In 2000, Canberra decided to take control and passed a law to penalize ‘fossil fuels’. It was their first foray. Now they have created a useless ‘grid’ in a country as big as the US but with 1/15th of the population, 90% in a few cities. 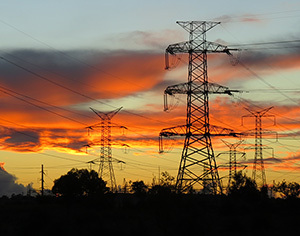 The ‘grid’ makes no economic sense but as an excuse for Federal control of energy. The same intervention occurred with telephones with a National obligatory network run by the Federal government overriding all private systems. All a blatant grab at power over communications too. All off balance sheet so we the public cannot see the costs. Public servants playing as private entrepreneurs with our money. It has to end in tears. Of course prices went through the roof. WIndmills. Solar panels. All funded through hidden loading on our electricity bills and no one was supposed to notice? The average Federal politician knows perfectly well they have created these monsters, the grid and the NBN. They have hidden all the costs and they alone are responsible. All for the greater good, of the Federal politicians. So the conservatives privatized all the State public utilities, telephones and electricity. Then they passed laws to shackle these companies and control prices and National agendas. It’s all about control by politicians. As for our former Prime Minister deciding on a $12Bn project to pump water uphill using windmills, it has not even been costed. No one is ignorant of this. It is all a blame game. Repeal the RET and the game is over. Sell the NBN, ABC/SBS and all the other ripoffs. No good has come of all this public intervention just so Federal politicians have more power. I think inadvertently you have shot down some of the strength of your argument because being state run probably made it as easy as possible for politicians to meddle with it. I’ll tell you a case study from actual experience. Since the early in the 20th century, Los Angeles had its Department of Water and Power (DWP). I’m sure it made sense then. But now LA city government has realized that DWP is a cash cow they can milk for money. I worked 17 years for a small company founder who lived in LA. He and I could compare the price of a kWh and his was astronomical compared to mine from Edison. I wish I had written down the numbers but I didn’t and memory loses such small things too easily. Because DWP is a city owned utility they are not subject to regulation by the California Public Utilities Commission and can still do whatever they can get away with. Edison can also do that to some extent but not like DWP. The situation from when I retired is now distorted by California’s current trend toward a 3rd world pretend republic and I’m no longer in contact with what’s going on in LA so I can’t comment on today’s situation. I don’t know government in Australia very well and I have no incentive to believe your assertion isn’t true. It did work well. But the basic politician we all have to cope with is the same everywhere and they have incentives of all kinds to do things harmful to their constituents. And of course, even a privately owned utility like Southern California Edison can be messed around with by heavy handed government. They succeded in making a simple system (State based energy generation) with direct and tight feedback to decision makers , into an impenetrable mess of “agencies” that think they have a say (and be funded), overlayed with Fed politics, overlayed with international posturing and subsidy farming and with infinite possibilities for finger pointing. Little wonder we are where we are. Chaos and expense by design. Why not just stop the spending of the $440 million, until a real case is made for urgent cash. Put it back in our pockets until someone can explain why anyone needs so much cash urgently? Malcolm gave and Morrison can take back. It’s our money. Get it back. –Government siphoning off energy profits for other government activities..nothing new here but potentially damaging to any chance of delivering “market driven” prices to customers. All in all we have developed the role model for stuffing up a world class industry. so we had Turnbull and Vesey a couple of months ago, and renewables were king, the answer, green light and all that and no problem of any kind,and we’ll can Lidell and no you can’t buy it. No we have Morrison and Redman and we need coal, must keep it, the new UN report isn’t for us, and BTW renewables are bad for the grid and must be balanced with baseload power oh and renewables make power expensive. Bet you $1 AGL will next come out and say either they’re keeping Lidell and will keep it running, or they’ll offer to sell it to someone else for them to run. New solar is cheaper than new coal. That’s why they do it. It’s all about money! Just one small comment on your claim. Scale. With all of those factors acting in the Negative for Solar Electricity it is a longway off being competitive with Coal fired generators. Routine approximations, solar makes these unreliable, indicate that solar is 7 times more expensive, when it’s operating. So Marco, you only want electricity when the sun is shining? Why, you can go off grid. And then please submit your report. Good luck with that. Cheaper TO DEPLOY != cheaper to supply power over the period of a year. Cheaper in the sense that you can segment it into small projects the average competent junior engineer can execute. Team that person up with a snake oil specialist to extract grants, subsidies , REC sales, and maybe even sleaze money from the local community and there you have it. In terms of providing power for a 1st world grid , completely useless but in itself a nice little earner. Interestingly, the finding that wind farms actually raise the temperature is getting some attention. I was sitting in my doctor’s waiting room Monday trying not to notice one of those medical advice TVs across from me — you know the ones… …stuff all sponsored by drug companies for the most part. But a random selection of news was running across the bottom. One item caught my attention. It was announcing the finding that wind farms aggressively being pushed forward in the United States would raise the temperature, not lower it. I was probably the only one there who was looking at the blasted thing and anyone sitting in a doctor’s waiting room probably has other things on their mind and wouldn’t remember a one line announcement of great significance. But someone did think it was newsworthy. Too bad it wasn’t on CNN and MSNBC along with a good debate on the merit, not that very many people will pay attention to such a debate in the first place. Many jobs in Australia are now in jeopardy with business operating costs rising because of the electricity mess. Small business is in crisis where it becomes more sensible to fold up shop and go for unemployment benefits. Sadly, you’re describing a sinking ship. And no one is bailing out the water or trying to patch the hull. I keep wondering how deep the water under everyone’s feet needs to get before enough voters wake up. At some point the water will be above everyone’s head and then it will be of no benefit for anyone to start throwing water over the side because the ship will be on the bottom. There is a big exodus from California going on now. And by far the majority of those leaving are middle class families like my son’s. Other states may not be perfect but imperfect beats California any day. Reality, if you aren’t a high paid actor, can sometimes be tough. It’s not just the high paid actors but those in politics who, for whatever reason, cater to the elite in the upper class who cause reality to be so hard for the little guy working hard to be responsible and provide for himself and his family. I was born into a household about as poor as you could get without being homeless and hungry — end of the depression and times had been tough for a long time by then. But I decided I would make something of myself and I worked at doing that. I never expected anyone to pay my way for me anywhere. I was always willing to pay my own way, transportation, housing, everything. I haven’t made myself rich by any means but what I do have keeps me comfortable and solvent. And I have a big incentive to protect what I have from someone who sees me as a source of money to fund his free ride or his rise in politics. And being in the position I’ve been in for most of my life has given me another incentive. I actually watch what’s hapening in society and try to figure out what works and what doesn’t. And more and more government programs, regulations and higher taxes is something I know doesn’t work. Now if I could just convince Governor Brown and the legislature. But they refuse my advice. Actually someone much lower than their level refuses my advice before it can ever get to those who most need to hear it. The ability of a Republican vote to make a difference has been systematically stomped into the ground. My choice for senator to represent California for the next 6 years is between two Democrats with not even a possibility to write in my choice. It’s a fixed fight and I lose. Life is what it is and we all must play the hand we’re dealt. Some do it more wisely than others and the sad truth is that I hear the word wisdom so seldom now that you would think it doesn’t exist. You gotta be smart but you apparently don’t need that which makes smart worth having. First visited there in 1976, at which time I thought it was close to Nirvana. Been sad to see the decline. Even at my most pessimistic around 2000, I had no clue how bad it would really get. Billionaire Sir Richard Branson has likened climate change to World War III and criticised the Australian Government for failing to do more to curb rising greenhouse gas emissions. The Virgin founder said he is testing new recycled aviation fuel to be used in his planes but that governments needed to do more too. “It’s going to need the world to take this problem very very seriously,” he told 7.30. 10 Oct: ABC: Spring storms can hit without warning, so why are they so hard to forecast? Perth experienced one of its wildest weather swings seen this year yesterday, when the first 30-degree day of spring gave way within the hour to heavy downpours and a spectacular lightning display. The wild weather was hard even for weather experts to predict, with the Bureau of Meteorology still forecasting the chance of rain at just 20 per cent half an hour before the storm hit. When it did develop, the late afternoon thunderstorm rolled in from the north and brought heavy isolated showers, hail, gusty winds and a spectacular lightning display with 8900 strikes recorded. BOM spokesman Neil Bennett: “One of the major features that we have with this change in the weather pattern from the winter pattern of widespread frontal rain, moving into this more convective rainfall — where you have individual shower clouds and indeed thunderstorm clouds producing pockets of rain rather than widespread areas of rain — trying to predict exactly where that rain is going to fall is a little bit harder than the broader areas of the cold front. Look out the window, look at the data coming back from the morning radiosonde…vertical instability doesnt suddenly happen. These guys spend too much time and money feeding supercomputers and have forgotten how to forecast. I used to respect Branson for his abilities to build successful business out of dire situations. But now i am puzzeled how such an apparently smart guy can think Australia is in any way influential in the Climate situation ? Its bad enough that he seems alligned to CAGW, but if he is really concerned , why isnt he focussing on China , India, USA, etc which would be much more influential. ? WTF is “recycled”. Aviation fuel ?? How does that work ? …..how do you recycle fuel ? Someone should ask Branson why Virgin has not been using the “green” aviation biofuel that has been available for 10 yrs or so ? …….i wonder if it was something to do with cost and profitability ??? Commercial banks with big coal investments risk being overlooked for World Bank money, a key official announced on Monday. Its International Finance Corporation (IFC) will “proactively seek” clients committed to moving away from coal. Any client that continues to invest in coal will be required to publicly disclose the value of their stakes. That was the strategy IFC chief Philippe Le Houérou outlined in an article for Devex (LINK) as the bank held its annual meeting in Bali, Indonesia. CarbonBrief: “I want to talk to you about climate change, Brexit, Jeremy Corbyn and fake news,” writes Daniel Finkelstein, weekly political columnist for the Times. “It’s tempting but wrong to dismiss this as nothing more than political tribalism, writes Finkelstein. He links this to a recent article on the website of the journal Behavioural Public Policy, which noted that people are motivated to deny problems and scientific evidence supporting them “when they are averse to the solutions”. “On climate change, the more that people believe there are palatable solutions, the more they will accept the science,” says Finkelstein. But there’s a big question about whether any deal reached will gain parliament’s approval. As Times commentator and Conservative peer ***Daniel Finkelstein has bluntly put it, in parliament: “There isn’t a majority for anything”. A Democrat before seeking elective office, Bloomberg switched his party registration in 2001 to run for mayor as a Republican, before abandoning political affiliations in 2007. He won his third term in 2009 as an independent. Mayor Bloomberg made the announcement on Instagram Wednesday morning. He also shared the announcement on his Facebook and Twitter accounts. “We have big challenges ahead of us and I think that is what the (report) has told us…a low-carbon future is better. From a climate perspective, nothing is worse than burning coal,” former EPA administrator Gina McCarthy told a Financial Times climate finance summit in London. “The announcements and proposals made by the new administration have not been finalised, they are not based on science and the law, and that is not exactly a winning formula when you go to the courts,” she said. PIC: Driverless taxis – the transport of the future? Michael Gove and the rest of the UK Cabinet have skipped a key international summit on climate change a day after a landmark UN report warned that “urgent” action was needed to avoid global warming disaster. Urgent that as many as can muster write to the PM to ask who is going to represent Australia at the rest of the IPCC meetings this year, what in broad terms they plan to agree to, then state your concern that we might not be democratically represented. Say that you would be upset if more taxpayer funds were given to UN and associated green groups. Ask how many people are planned to go expenses paid, why just one person is not enough and ask if any NGO reps are with the official party, like greenpeace, Wildlife fund, getup etc. Anything you can think of to stop the lemmings before the cliff. The shorter AGL and Origin: Sweet Jesus none of us are gunna get a feed if the whole thing goes pear shaped with too much of this crap. Heard an interesting quote in a Political Movie last night that struck home..
Facts dont count, its all about perception and effective messaging.! So , i guess he who shouts the loudest , for the longest , …wins ? Is that the new term for baseload? It’s the ‘green’ version of fossil based fuels, you know, those nasty fuels that have kept the lights on! No that means certain power is unfirm and only Origin and AGL are the correct firms to firm it silly. Otherwise there’d be a whole lot of unfirm firms unfirming our national grid and as firm firms they have to be firm speaking up against that. Sir Humphrey, is that you? bunch of coal hugging retards. Renewables and storage are the future of the world inc. Australia when it finally votes in a capable government. Eliminate the RET and this posed conversation about renewables does not arise. It’s that simple. They’re certainly beginning to panic about the level of unreliables heading the grid for a train wreck. Sure we can make these unreliables dispatchable with storage but at what extra horrendous cost when in SA in particular we already suffer the highest power prices in the world? The punters were promised abundant cheap power from Gaia and the implicit assumption was it would be available at the flick of a switch like they were used to. They’re not gunna be happy being lied to and that’s what the spruikers and rent-seekers are increasingly panicking about now. Their necks are on the chopping block if cascading blackouts begin in earnest most likely in peak summer demand.